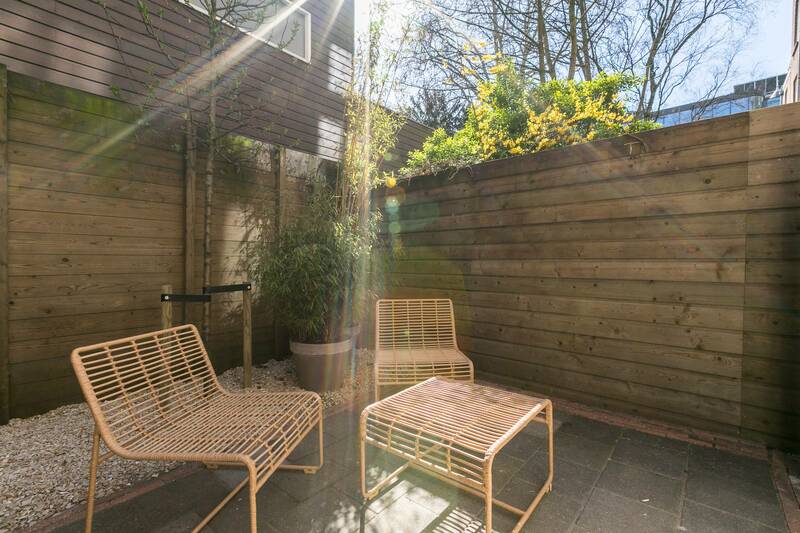 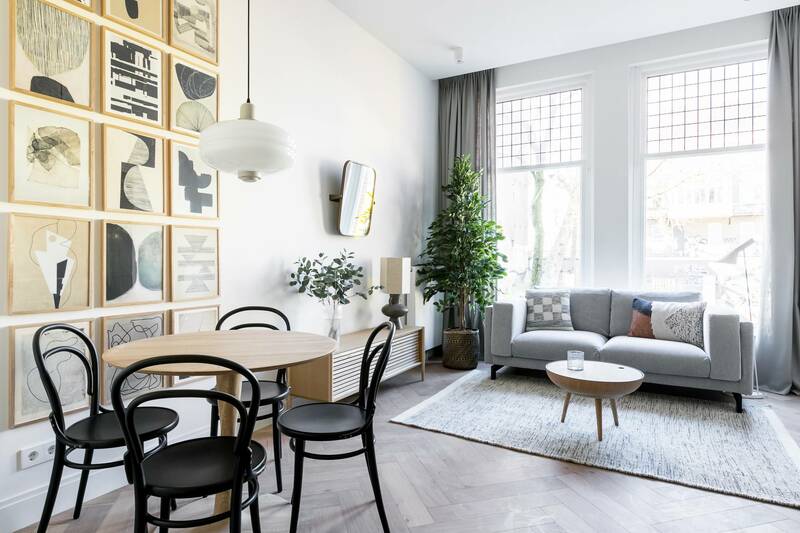 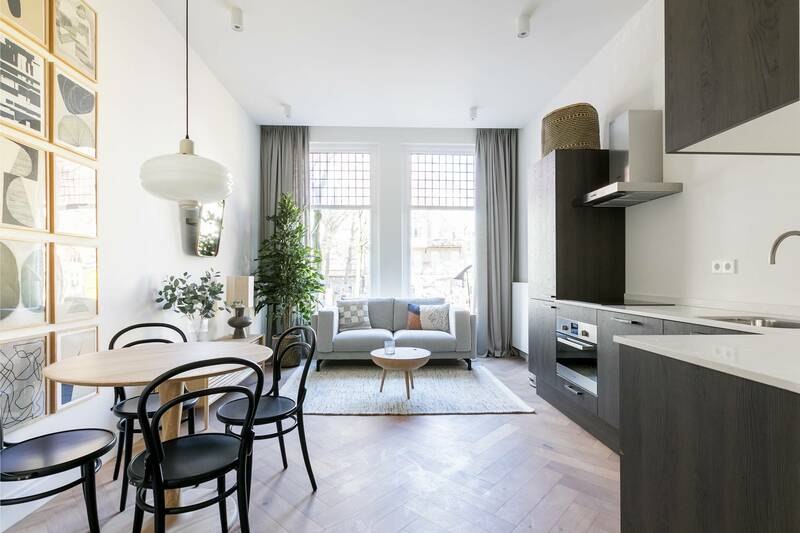 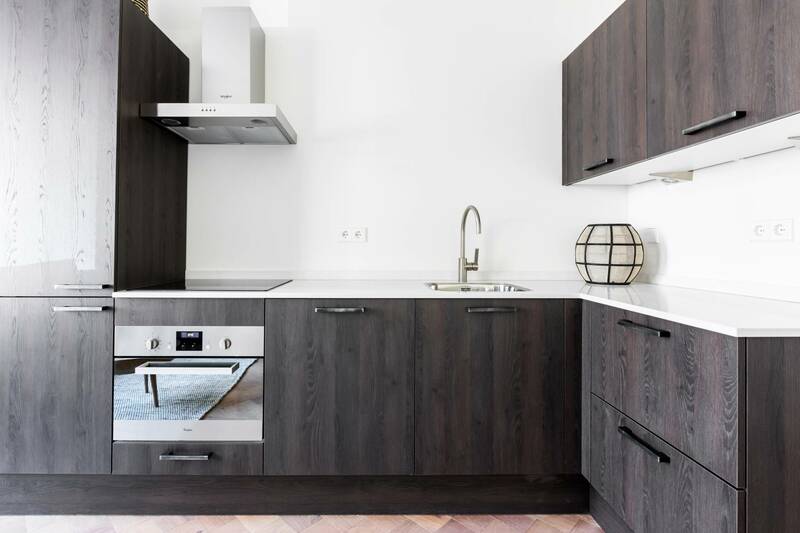 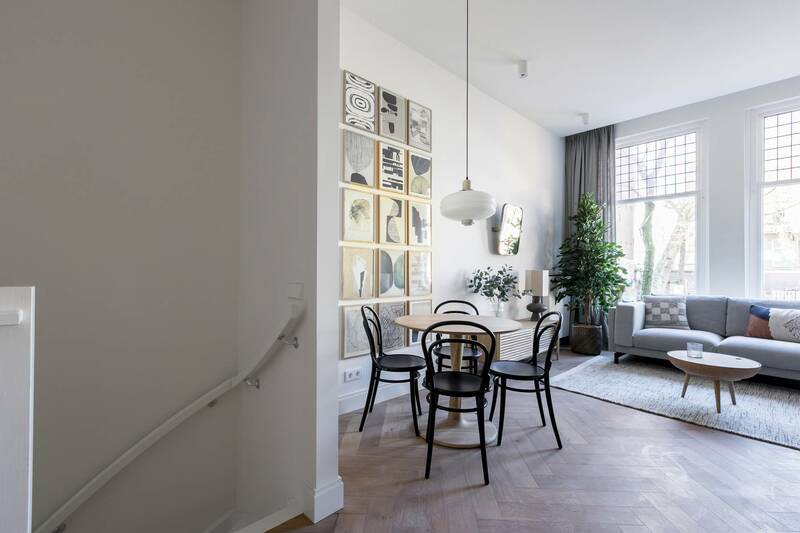 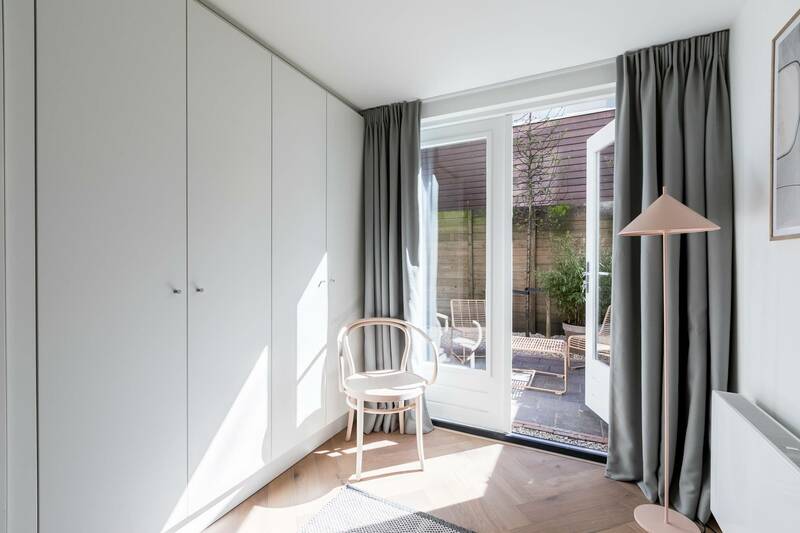 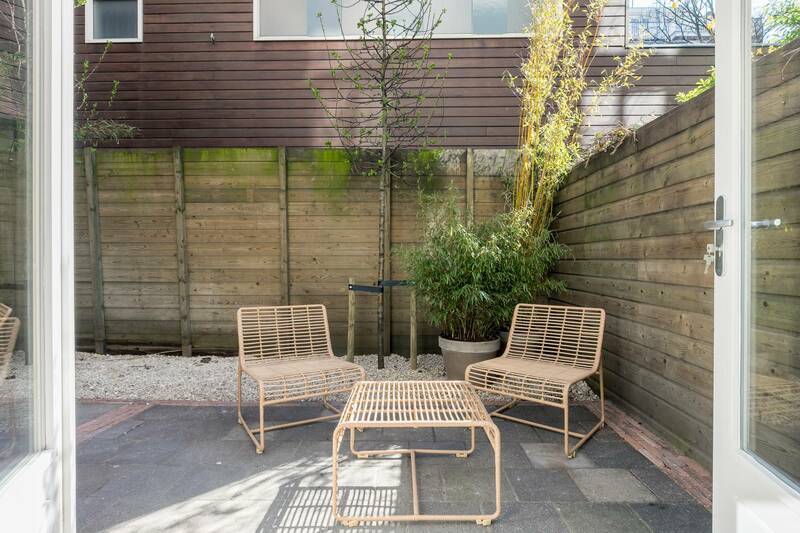 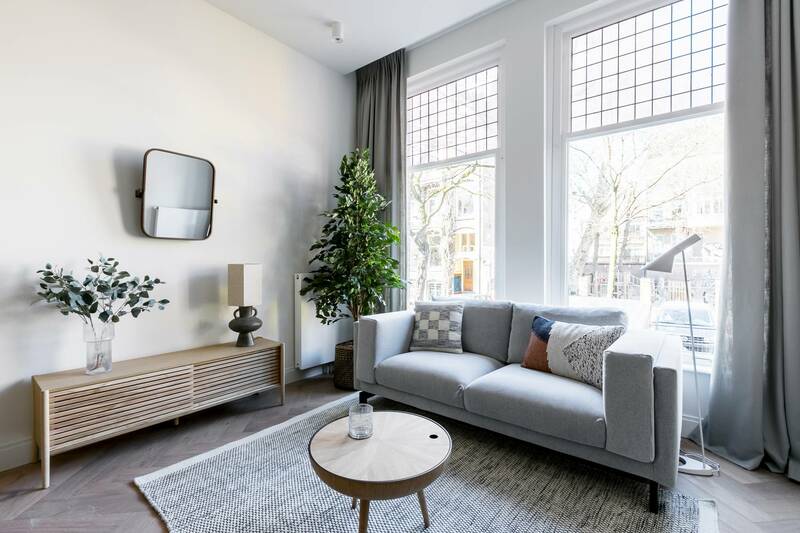 Stunningly beautiful high-end furnished one bedroom apartment located in one of the most beautiful streets of old-south; the Jan Luijkenstraat (nearby Vondelpark, PC Hooftstraat and Museum square). 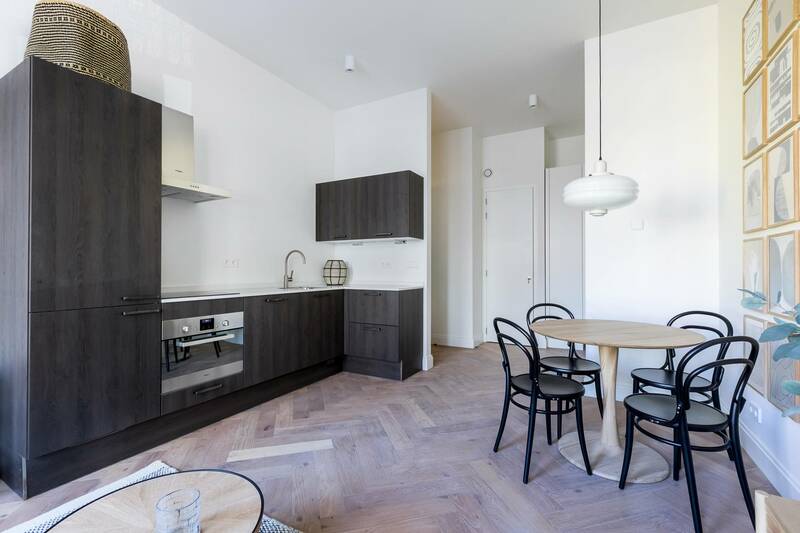 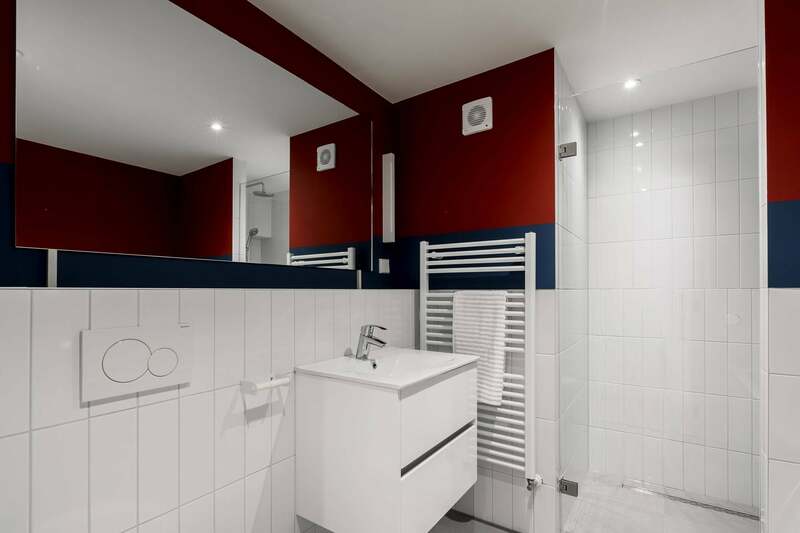 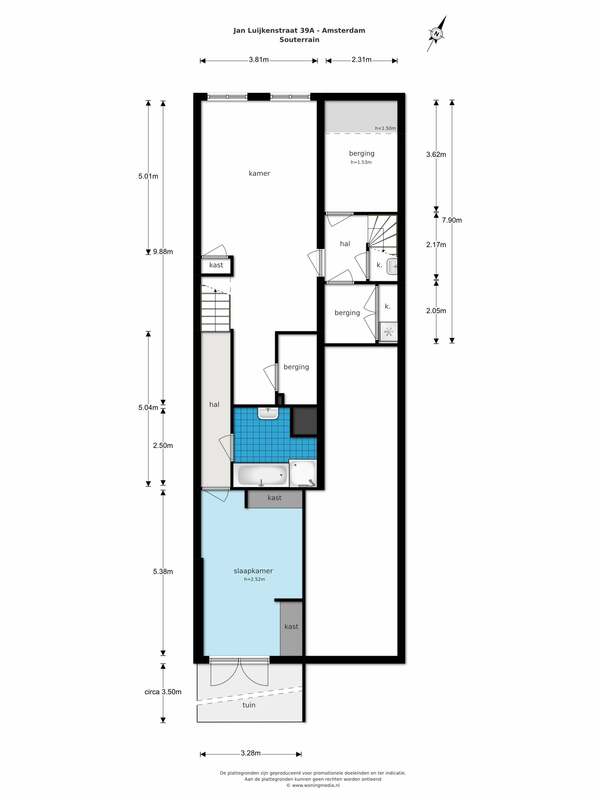 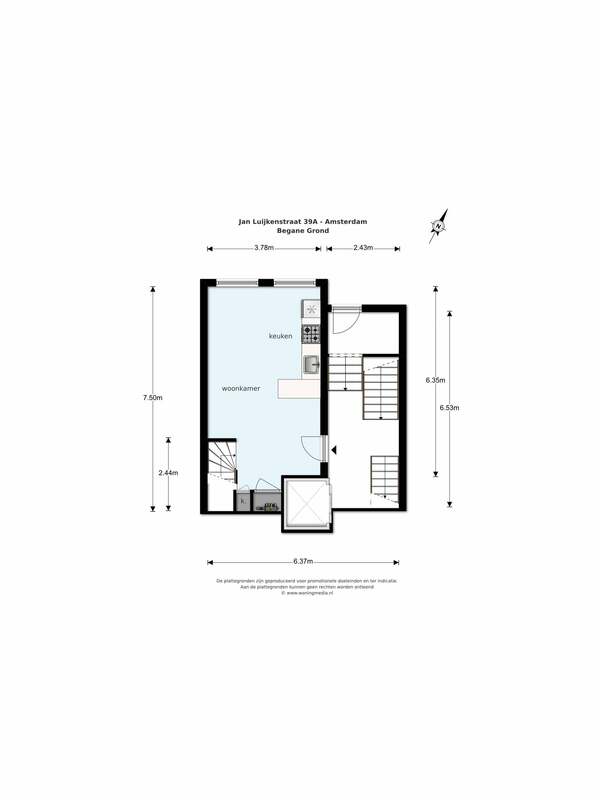 This completely renovated apartment (located at the frontside of the apartment building) offers a wonderful and light living-room with luxurious fully equipped kitchen on the first floor. 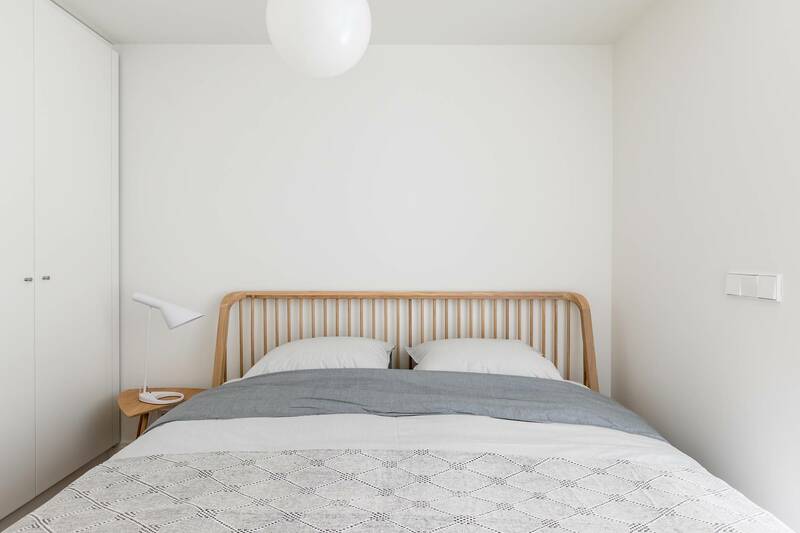 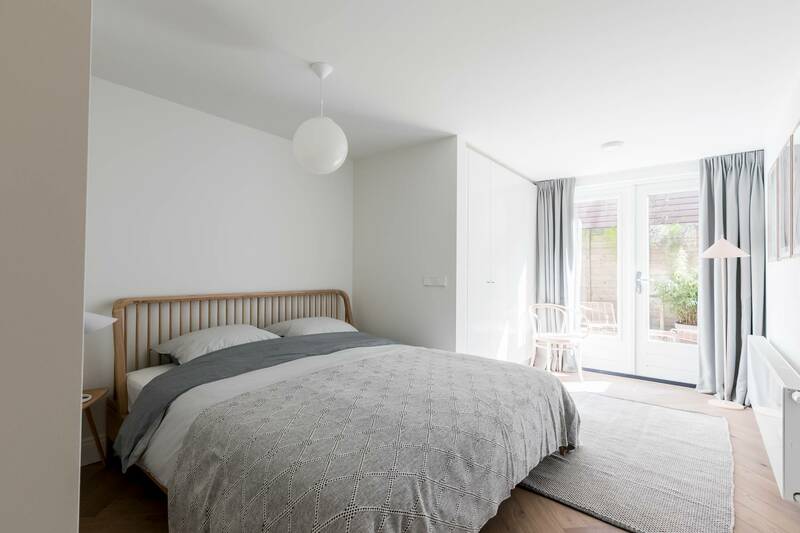 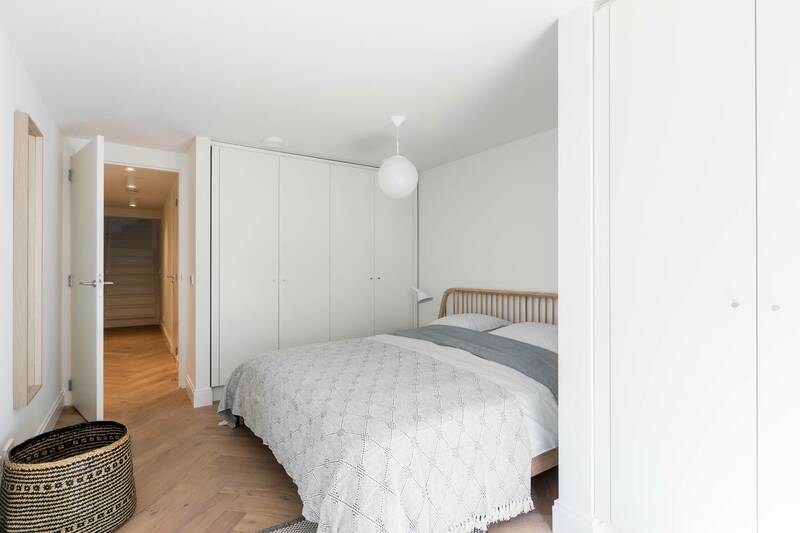 Downstairs you find an amaingly quiet and spacious bedrooms with all fitted wardrobes and a modern bathroom with shower and bath. 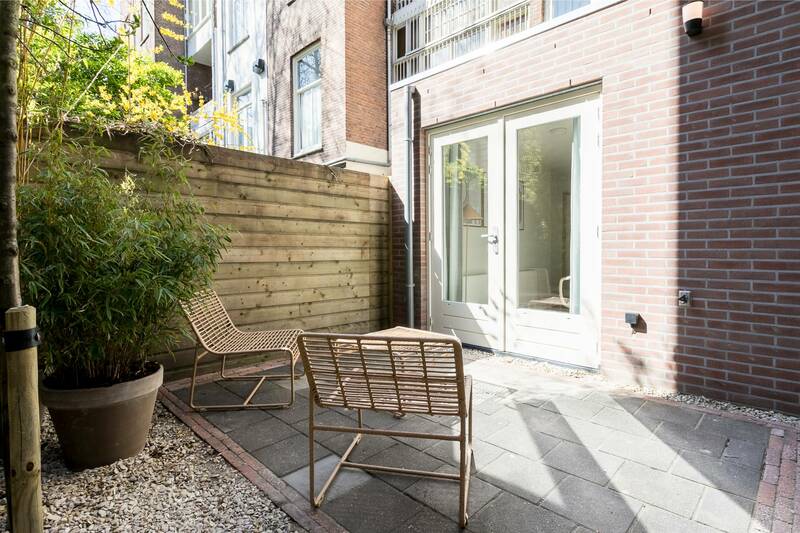 Besides that there is a lovely private patio which belongs to this apartment facing south-east. 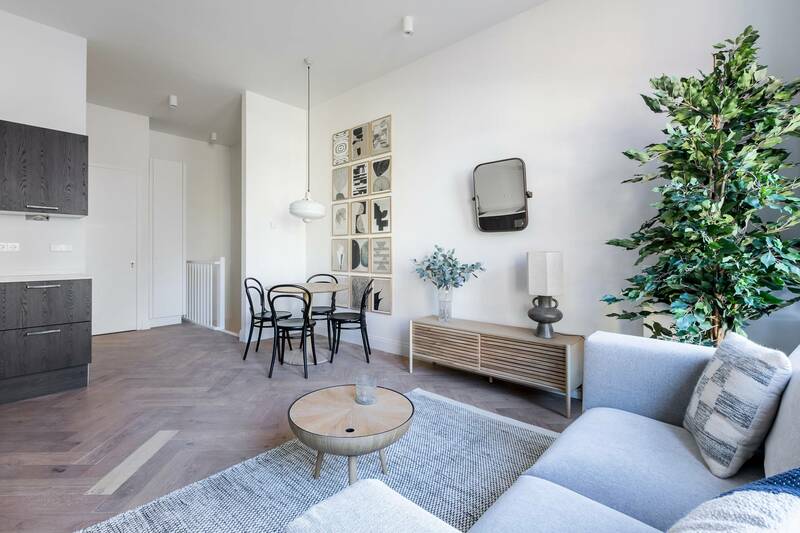 The apartment is suitable for either one person or a couple. 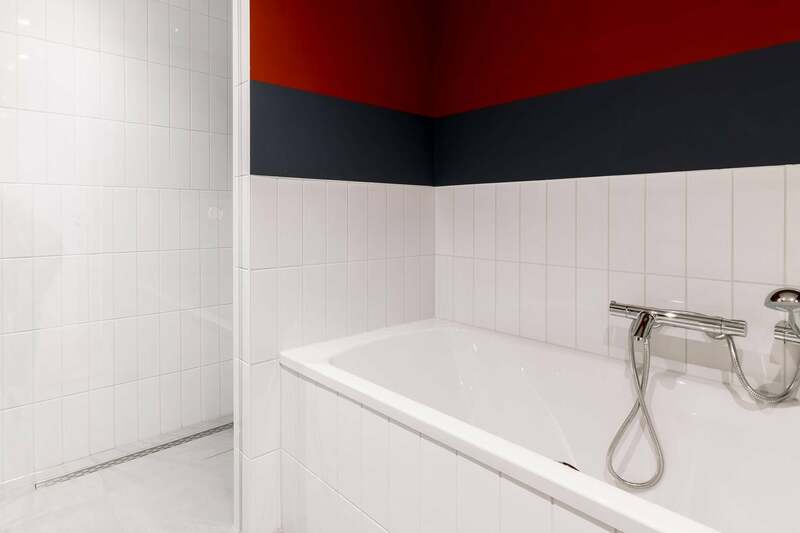 Separately there is a shared laundry-room for all the tenants of the building located in the basement (each tenant will have their own locker there as well).